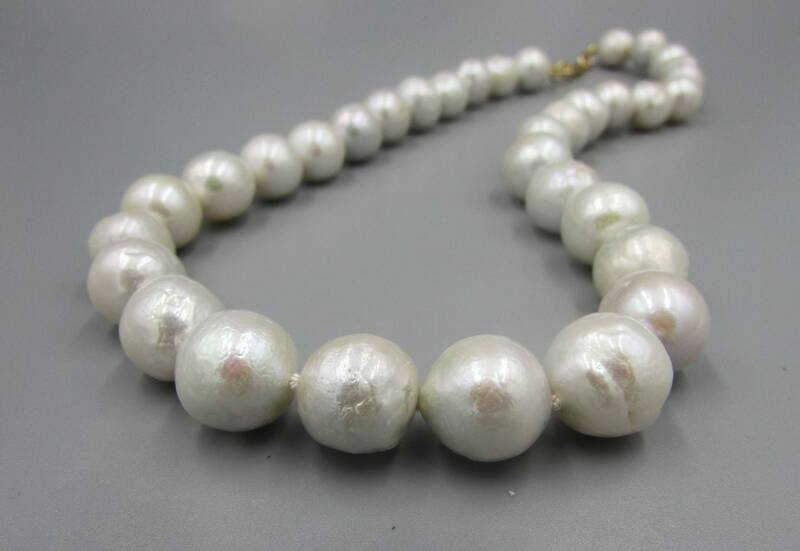 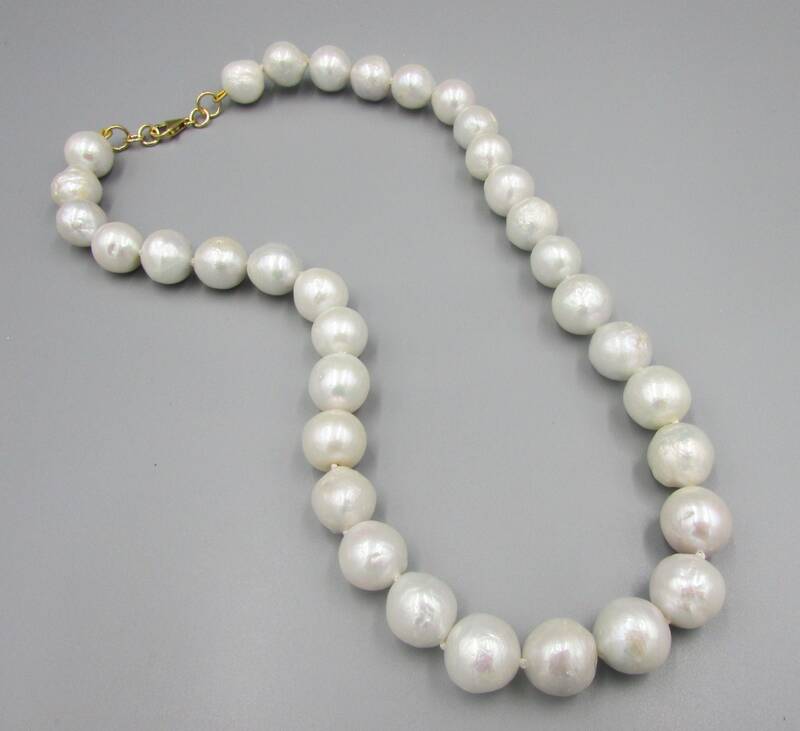 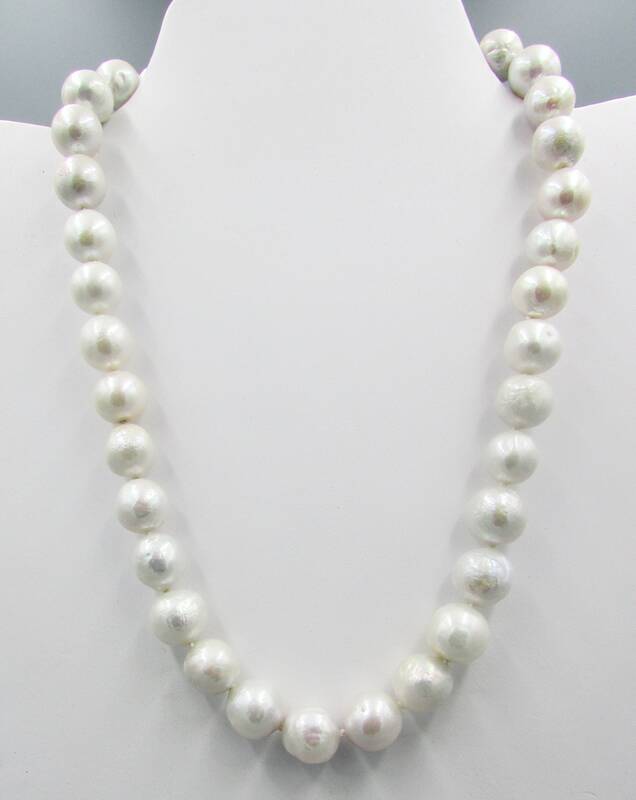 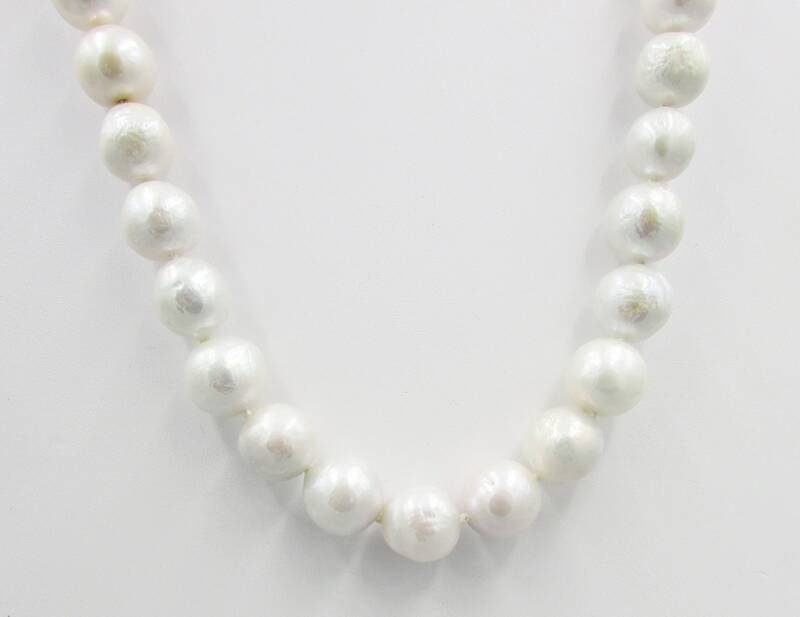 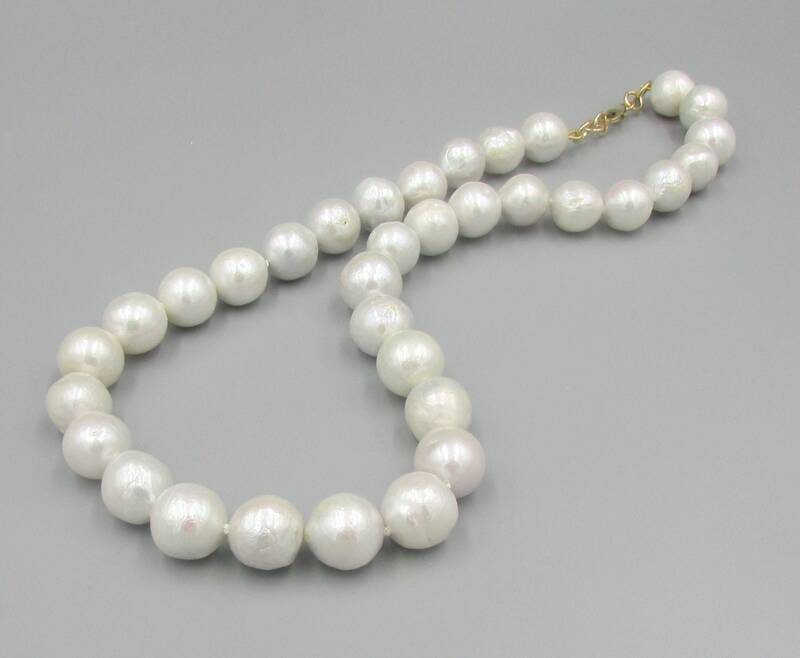 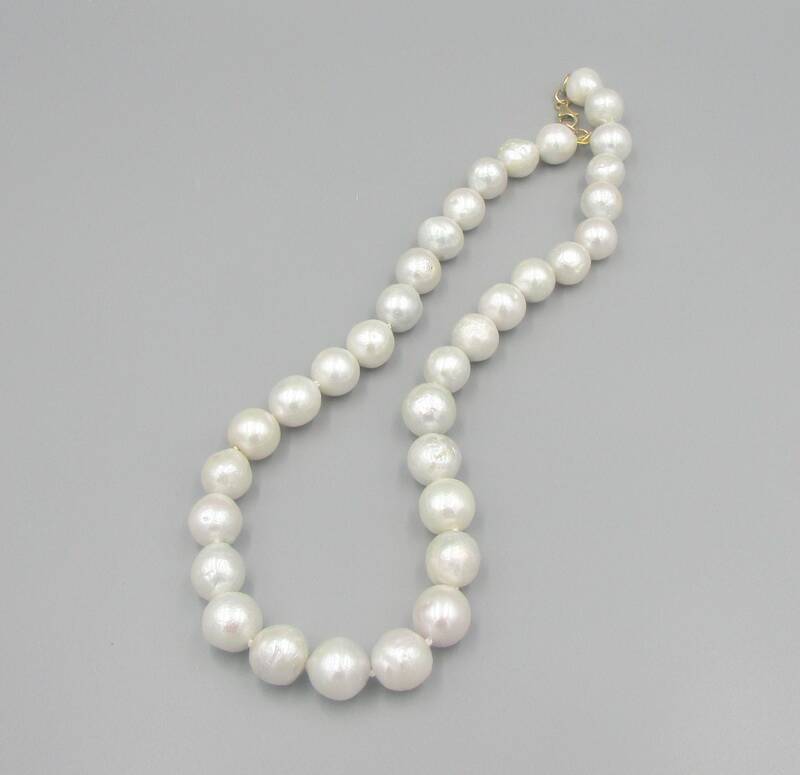 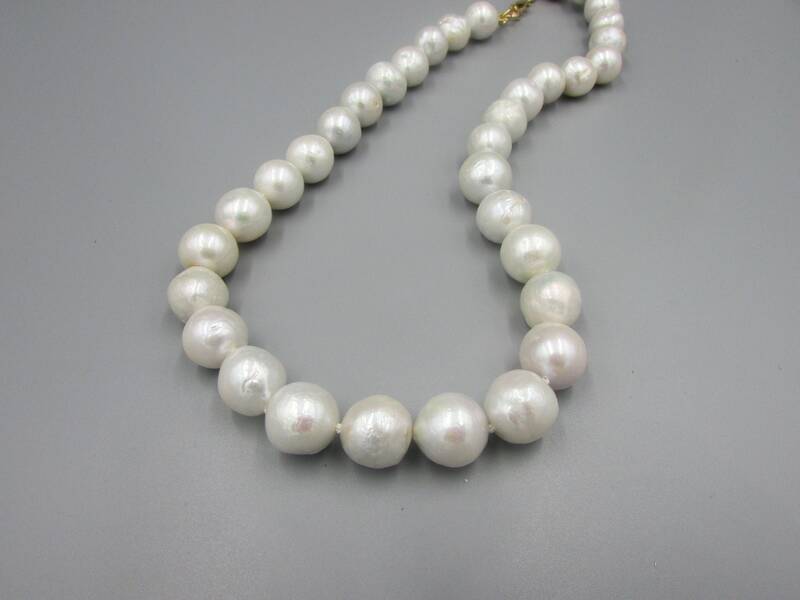 This stunning white pearl necklace is created with 11-12mm high quality freshwater pearls hand knotted on silk thread between each pearl for beauty and durability. 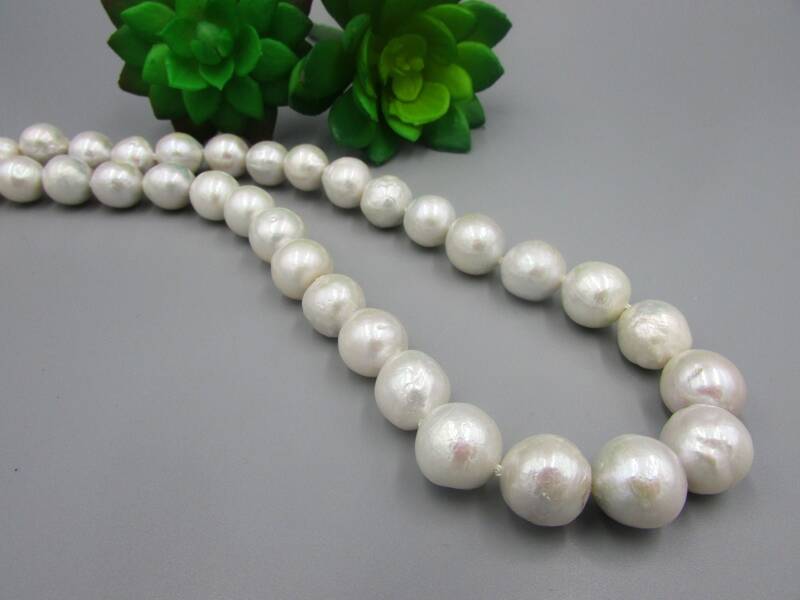 The AA grade quality pearls have a beautiful shimmer and luster are near round with some ripples. 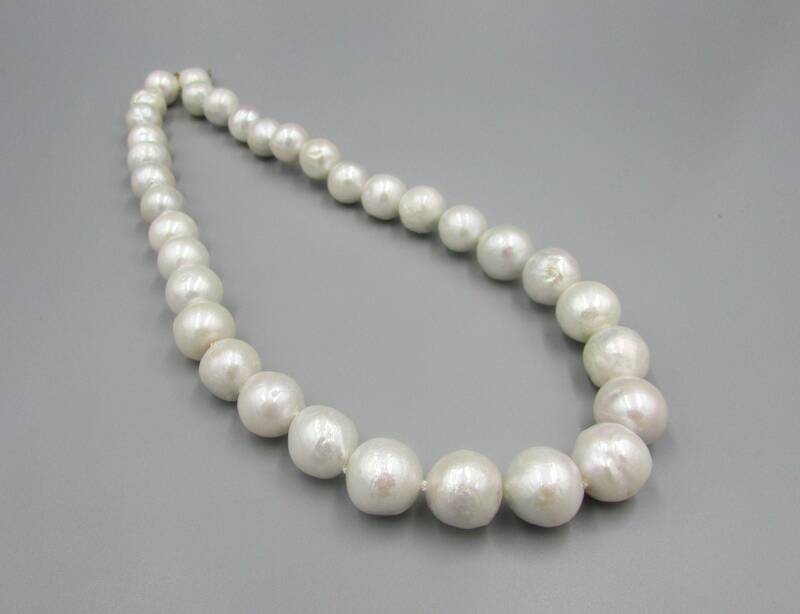 Ripples are one of the most sought after pearls of the year.